Manny Machado to the Padres? Look, I am not under the illusion that a fan championing for a player to be signed to a record-breaking Major League contract is exactly realistic or will in some way, even quasi-sway the Padres decision makers. Before you say it, yes — I am aware of the franchises history of spending money (or lack thereof). However, I do believe in the importance of spending wise money. Of course you can argue that investing in a 10-year, $300M+ contract into one player would not be the most wise decision. I’ve had similar discussions across the blogosphere; trying to imagine how well that would work, as often huge contracts over several years do not. There have been some creative incentive laden contract proposals suggested by some authoritative sources. Why not at least explore that Avenue? I thought I’d delve into some logical reasoning into why Manny Machado specifically could be advantageous, and the distinctions that separate other “bad contracts”. While Machado will cost a team a ton of money (short and long-term), that average annual salary would still only bring the Padres closer to a midsize market team payroll. Machado being an elite defender and overall productive bat puts him comfortably in the top 5-10 players in the game, and at 26 years old, would likely perform very well throughout the majority of his contract. Moreover, the probability of players, who have yet to enter their prime, impacting the game significantly is very high. Not to mention a future exploration of a trade if the signing doesn’t fit well, and you prefer to retool down the line. The distinction between many of the dubbed “bad contacts” historically speaking, have been teams investing in players with a high average annual salary, but also over a long period of time, while said players are already on the wrong side of 30. In other words, Machado, at 26, has a (theoretically) much better chance to hold up and perform over the entirety of his contract. The biggest signing in franchise history of Eric Hosmer, and extension of Wil Myers — along with a vastly improved investment into the International market was a great start (regardless if those contracts live up to their internal player evaluation value). In addition, making those commitments could signal optimism in breaking the cycle of mediocrity and an unwillingness to seriously compete with other teams. While those players (Myers and Hosmer at the time of those decisions were good players), neither were super stars, and neither were going to put the Padres over-the-top in one of the toughest divisions in baseball, or nudge the proverbial ticket sales needle, either. Investing in players of Machado’s combination of elite caliber production, talent and age can make sense regardless of other moves, but adding Machado — a generational type player, who have yet to even enter his prime no less, pairing with other very good players — is the true test, for an organization trying to make a statement, and literally make a run at the playoffs. Investing in good players is a start, but you could argue investing substantially more in super stars is a wiser investment (both in the box score and ticket sales). I would never lobby for a team to throw “stupid money” at a player just to spend, but the rarity of player of Machado’s ilk — a legitimate super star player entering Free Agency, at 26 years old, that would both fit your window to compete, (and potentially make a playoff run) is a no-brainer. The domino affect of such a potential signing would be profound. The Padres have the best and deepest farm system in the game. I’m a huge believer in small-to-mid market teams emphasizing drafting well, player development and utilizing the farm system to compete. That being said, not adding stars to that equation, to put you over the top is a mistake. Just ask the Oakland A’s or Tampa Bay Rays. Also, using excess prospect capital to facilitate other areas of need, and fill other various holes with established players is essential. That is a very big part of the farm system. 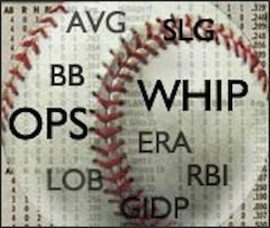 While using prospect capital, and an abundance of depth to trade for established players is often an attractive avenue all teams exercise, holding onto your blue chip prospects and developing those players is the way you win. When you look at the teams who bring home championships, there are two huge commonalities: developing home grown players, and spending money to pair with those players to not just compete, but win! The Houston Astros, Chicago Cubs, Boston Red Sox, among other teams have that in common. Adding Machado would have a very serious positive trickle-down affect both on and off the field. 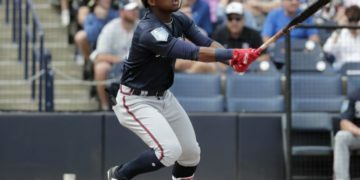 Being able to hold onto your blue-chip prospects, not emptying the farm system, while adding profound protection, and production for the core of already young and talented players in-house would be a major win, in a myriad of ways. In that scenario, you could then turn your focus elsewhere and upgrade using those assets more sparingly. That major hole would have been filled with money, without sacrificing those investments in player development, home grown players and would enable a usage of said capital for other major needed upgraded areas. It has been reported that only two teams (The Chicago White Sox and Philadelphia Phillies) have been “in-on”, Machado. Doesn’t that limit his ability to squeeze out every penny in a limited market? It seems like there are a plethora of potential advantageous factors here. In this hypothetical scenario, the Padres could then turn their focus away from 3B in a limited trade market, and prioritize starting pitching without emptying the top system you’ve built up and invested in. For instance, the Padres spent over 20M for the rights to one of their top prospects in Adrian Morejon. A trade involving a top prospect you invested so much money into that hadn’t played a game is vast. But why shy away from someone who is a sure fire super star? It makes zero sense in a limited market. Without signing a Machado, the temptation to jump start the window to compete too soon(er) — using your farm system blue-chipper capital, becomes tempting; and that can be counterproductive, if not reckless. Look, I believe in the Padres’ current baseball operations department, but without more backing from ownership, you tie their hands and they can only do so much. That kind of pressure can force poor decisions. And ultimately, that’s as much on ownership (if not more) than anyone. Ownership has been extremely vocal about winning and dismissing rebuilding “as building”, and their desire to not only compete, but win. Ownership remains adamant that they want to win, and I want to believe that. In that is the case, stop being so vocal about it — if not arrogant, and be about it; spend some real money or your promises to the fans are meaningless. With only two teams being in-on Machado, while he fits the biggest area of need, without emptying the farm, in addition to not having to compete with several other teams in bidding wars for his services (that is commonplace for a player of his elite caliber), is almost unheard of, and he’s 26!